Holley told CNA that the apostolic nuncio has not raised the issue with him at any time. He told CNA that while he could not comment directly on the allegation, he is concerned the matter is being raised in order to cast aspersions on his character, linking him to bishops recently accused of predatory sexual behavior. “I am not a part of the lavender [mafia],” he said. “I would never belong to that evil,” he added, referring to allegations of predatory sexual behavior raised against Archbishop Theodore McCarrick and other senior Church figures. McCarrick could not be reached. Pope Francis, it seems, is not slow to dismiss a bishop for spurious reasons, if we are to take the above report at face value. And we have examples here in Scotland of priests currently suspended for no good reason – while the real culprits, dissenters and abusers, are left in post to spread their poison. The Pope routinely refuses to accept resignations from bishops who have reached the retirement age of 75 yet he has dismissed a bishop of 63 at, it seems, the behest of the disgraced Cardinal Wuerl. What advice would you offer to Bishop Holley – what could, or should, he do in the face of this injustice? Fr. Arturo Sosa Abascal, superior general of the Jesuits, said in an interview Monday that Pope Francis consciously calls himself the Bishop of Rome, instead of using grander titles. “Very frequently we forget that the pope is not the chief of the Church, he’s the Bishop of Rome,” Fr. Sosa told EWTN in an interview Oct. 15. By convoking the youth synod, taking place in Rome Oct. 3-28, Francis is exercising his role as pope by bringing together a group “of his own peers” to make a “contribution to the communion of the whole Church,” Sosa said. “Fr. Sosa is certainly correct to say that the pope is the Bishop of Rome, but it would be a mistake to infer from that title that the Holy Father is merely ‘first among equals,’” Chad Pecknold, Associate Professor of Theology at the Catholic University of America, told CNA. Sosa said that because Pope Francis feels each bishop is responsible for his local church, this synod, in which Church leaders come together to discuss and decide church affairs, is an expression of dialogue and communion between all of the bishops. In his interview, Sosa also explained that the collaborative work of the synod is a work of discernment, something he said was very important to Pope Francis. The Jesuit superior said that although the concept of discernment is a key feature of Jesuit spirituality, the act of listening to the Spirit has been a part of the Church’s for a long time. 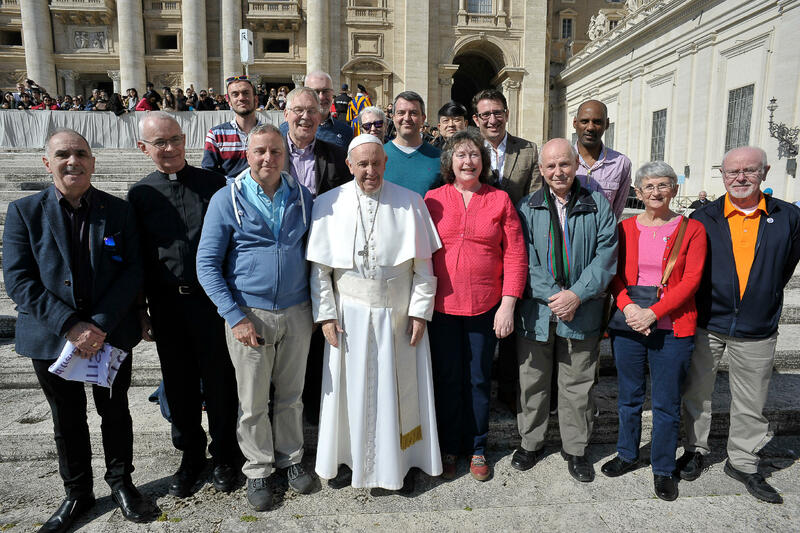 “Discernment is the way that this communion [of the universal Church] can be made and how the Church will find the structure to reflect a Church that is open to that synodality,” Sosa continued. The Code of Canon Law defines it as a work of “collaborative assistance” to the pope’s ministry, and stresses that it exists to “foster unity” among the bishops, including with the pope. It also states that the synod is itself a creation of papal authority, deriving its legitimacy not from the bishops attending but from the pope who called them to the session. Whether a synod session’s conclusions are deliberative or consultative is explicitly up to the pope, who decides how much of his own authority to delegate to it. Pope Francis DID emphasise, right from the beginning, from his words on election delivered from the Vatican balcony, that he was Bishop of Rome… He has, it seems, sought to play down his papal role. So, the question has to be… does it matter? Shouldn’t we applaud his humility in shying away from all things Petrine? As the homosexual priest scandal once again erupts around the world (including the revelation that fully half of the cardinals and bishops of the Netherlands are implicated in the cover-up of sexual abuse), the ex-President of the Italian Senate, Marcello Pera, was interviewed by La Fede Quotidiana concerning Pope Francis’ continuing silence in the face of Archbishop Viganò’s historic indictment of the Pope’s own role in the cover-up of homosexual corruption at the highest levels of the Church. “It seems to me that the Pope does not intend to give a response, or perhaps thinks that others will respond, a dilatory tactic that, instead of promoting serenity and clarity contributes to general disconcert and confusion,” said Pera. “[I]t seems to be the same thing that happened with the Dubia of the cardinals,” Pera continued. Discuss any issues arising from this important Feast – perhaps the role of Peter – Francis – as Supreme Pontiff? As well as discussion on relevant key issues, though, such an important Feast must be celebrated with the usual mix of Feast day greetings, favourite prayers, hymns, jokes and stories – enjoy! A very happy Feast of SS Peter & Paul to one and all! Editor: it is a common error, repeated often in homilies/sermons, that the Church was “born” at Pentecost. We need only recall the Petrine verses in the Gospel, and Christ’s final command to his apostles prior to his Ascension into Heaven: “Go out into the whole world and baptize…” to recognise that this claim is false. The apostles were strengthened at Pentecost, their faith renewed so that they had the courage to come out of hiding and obey Christ’s Ascension command to go into the whole world and spread the Faith. The Church, however, was established by Christ Himself during His time on earth, as amply reported in the New Testament. Every Christian believes that Jesus Christ established and sustains a community of faith, hope and love for all believers. This community we call His Church. The Church that Christ founded is the Catholic Church which has a formal earthly structure established by Christ and which continues under His authority and protection. Jesus did three things that established the framework of His Church. First, He chose humans to carry out His work. He appointed Peter to be the visible head of the Church. Jesus said to Peter, “You are Rock and on this rock I will build my Church.” (Matthew 16: 18) Jesus said “build,” as in to create a structure. Jesus built His structure on specifically chosen human beings Peter and the apostles. The early Church was structured in a hierarchical manner as it is today. We see in Acts, chapter 15 how the apostles and the elders came together under the leadership of St. Peter to decide the question of what was required of Gentiles. We also see how St. Peter was regarded as the head of the Church when St. Paul, “Went up to Jerusalem to confer with Cephas [Peter] and remained with him fifteen days.” (Galatians 1:18) There is no Scriptural evidence of independent local churches. The Catholic Church is the only church that can claim to have been founded by Christ personally. Every other church traces its lineage back to a mere human person such as Martin Luther or John Wesley. The Catholic Church can trace its lineage back to Jesus Christ who appointed St. Peter as the first pope. This line of popes has continued unbroken for almost 2,000 years. It is important to note that there was never any time when the Church was known as “Christian Church” – never. From the earliest times, the Church was called the “Catholic Church”. The adjective “Roman” was added during the Reformation period by the Protestant Reformers to push their heresy that the Church is made up of “branches” – of which those who adhere to Rome are but one part. Click here to read more. There is one exception to the writer’s claim that “RC” is not used in official Church documents, and that exception is found in Humani Generis # 27 – click here. However, Pope Pius XII is a recent pontiff, so the facts stand, as detailed in the article How Did the Catholic Church Get Her Name? What, if any, difference does it make if priests preach that Pentecost celebrates “the birth of the Church”?